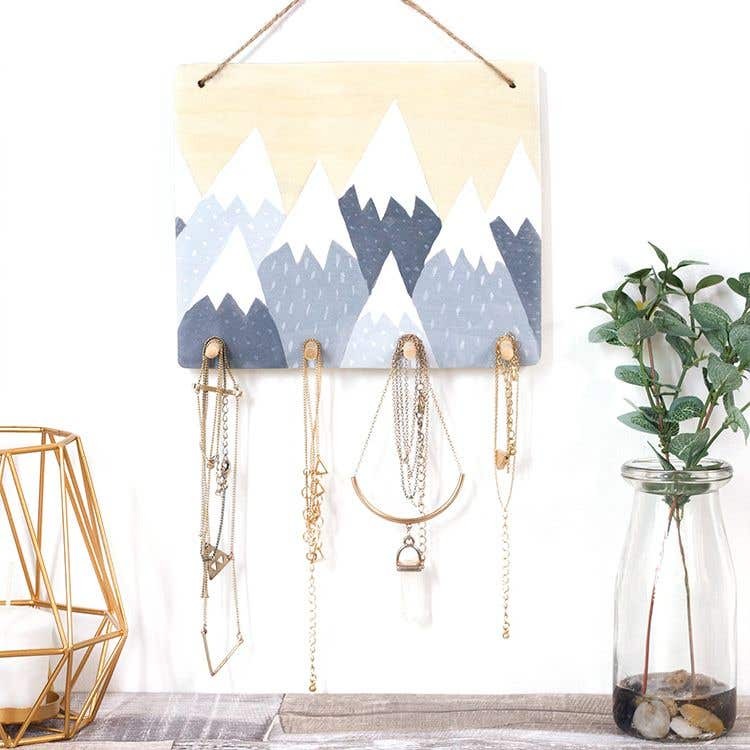 Decorate a wooden key holder with a Scandinavian mountain scene to create a lovely jewellery hanger to keep your necklaces, rings and bracelets. 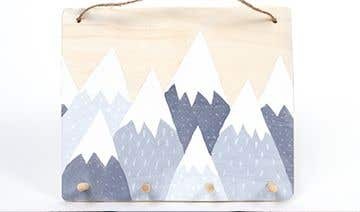 Using a pencil, lightly sketch out the shape of your snowcapped mountains onto the main part of the wooden key holder. Draw about 8 of them at a range of different heights, and have some in front of others to create more depth. Using the white paint, paint the tops of all of the mountains. 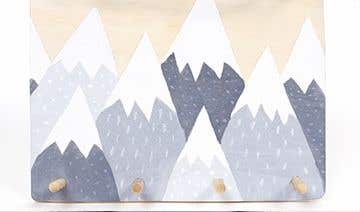 Then add a small amount of black to create a light shade of grey and use this to paint the base of two of the mountains, not next to each other. Add a little more black to create a slightly darker grey and paint two more of the mountains. Repeat this until all of the mountains are painted in varying shades of grey. Then leave to dry. 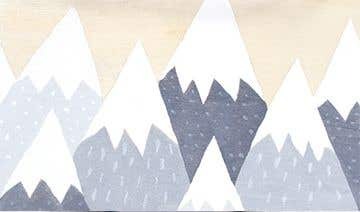 Using white paint and a thin paintbrush, paint a pattern onto the light grey mountains. Paint small dots onto some and dashes onto others. Then mix a very light shade of grey and use this to paint some similar patterns onto the darker mountains. Once the paint has dried, push a wooden stick into each of the holes at the bottom of the piece of wood. Cut a small length of jute twine and thread each end through the holes at the top of the wood. Turn the wood over and tie a double knot in each end of the twine to hold it in place. Use a fine tipped paintbrush when painting the patterns on the mountains so they don't appear too thick.